And nettles bring us so much to celebrate: their extraordinary healing powers, the return of fresh nettle infusions, their mineral richness and chlorophyll robustness. Nettles are an herb to celebrate for so many reasons, as they support us in so many ways. This class will be structured slightly differently than the others, as we’ll be cooking together! There is no “takeaway” for this class — we’ll be eating together! 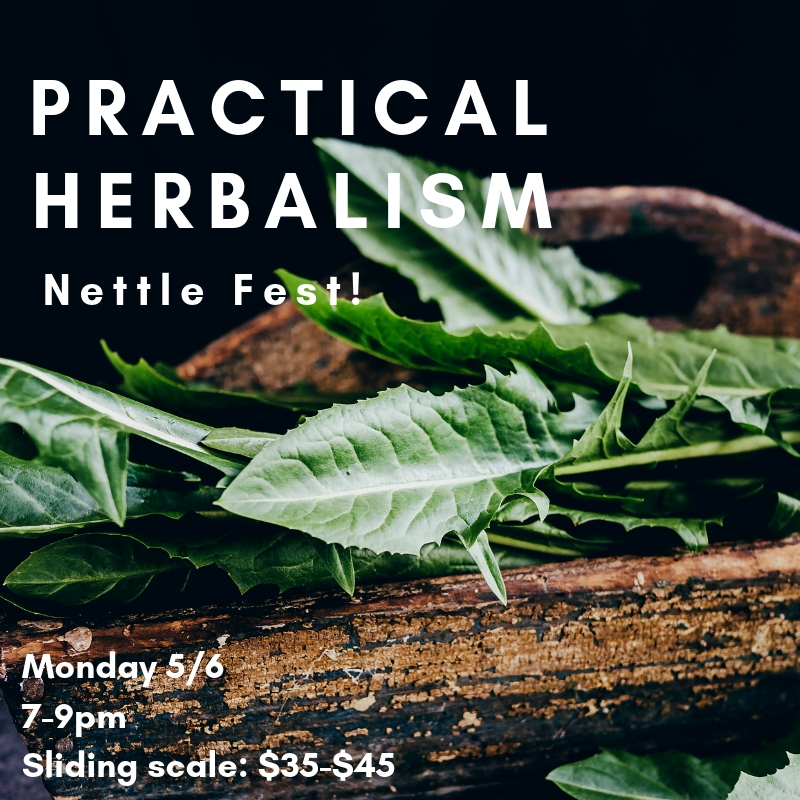 Don’t worry — you’ll have a chance to make nettle medicine in the following two classes.